our repertory includes productions that are inspired by original writing from around the world. a stage adaptation exploring the whacky, weird and strangely dark stories of noted hindi satirist harishankar parsai. while his writing dates back to the early 1960s, his stories have not lost their relevance or power. The stories are woven together into an interactive game show format with exaggerated acting styles, characters and live music. The stories bring the past and present together while raising compelling questions about the future. 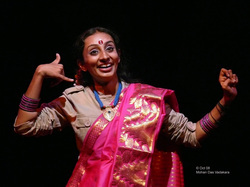 inspired by the tradition of oral story-telling, theatre Y presents the the itsY bitsY series, dramatized performances featuring outstanding writing from around the world. sweeping across all genres of writing, the itsY bitsY series aims to introduce the public to selected writing from celebrated writers and also serves as a platform to encourage original writing. itsY bitsY helps you experience the joy of stories, explore the wondrous variety of writers, genres, languages, forms, performance, spaces and audiences. the performances will showcase and celebrate an eclectic mix of stories, plays, poems, speeches, essays, blogs, flash fiction and so on, in order to celebrate the written word. the aim of the series is to introduce people to literature of all kinds, to celebrate writing in all its forms. we aim to organically build a platform of actors, writers and performers by taking literature to the people, by performing at various places around the city.